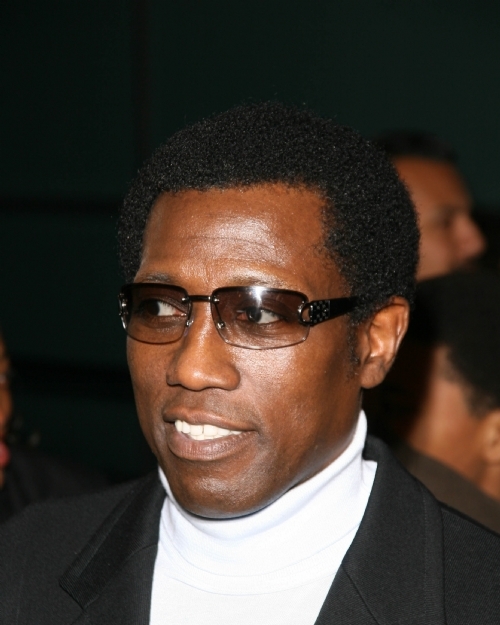 Wesley Snipes will not be allowed to appeal his prison sentence to the US Supreme Court. The 'Blade' actor was sent to jail for three years in December for tax-related crimes and although Wesley claimed his constitutional rights were violated after charges were filed in Florida rather than New York, New Jersey or Los Angeles where the alleged crimes occurred, the court has ruled today (06.06.11) not to allow an appeal to go ahead. The three-year jail-term comes as a result of a conviction for failing to file tax returns form 1999 to 2001. This is not the first attempt at an appeal for the 48-year-old actor, in November his request for a review of his sentence and a new trial was turned down by Florida Judge William Terrell Hodges. He had appealed the original 2008 sentence on the grounds that some of the jurors were prejudiced against him, and objected to including financial adviser Kenneth Starr, who pleaded guilty to fraud after acting as a government witness against him. Before surrendering himself to the McKean Federal Correctional Institution in Pennsylvania last year, Wesley said he was hoping for a "miracle" to keep him out of prison. He said: "We still have prayers about that - we still believe in miracles. So don't sell me up the river just yet. Alright? "I think any man would be nervous if his liberty is at stake. I'm disappointed that the system seems not to be working for me in this situation."